‘Tis the season of floral everything, and this is definitely true of our denim. From patches to embroidery, there are plenty of ways to wear your blooms. 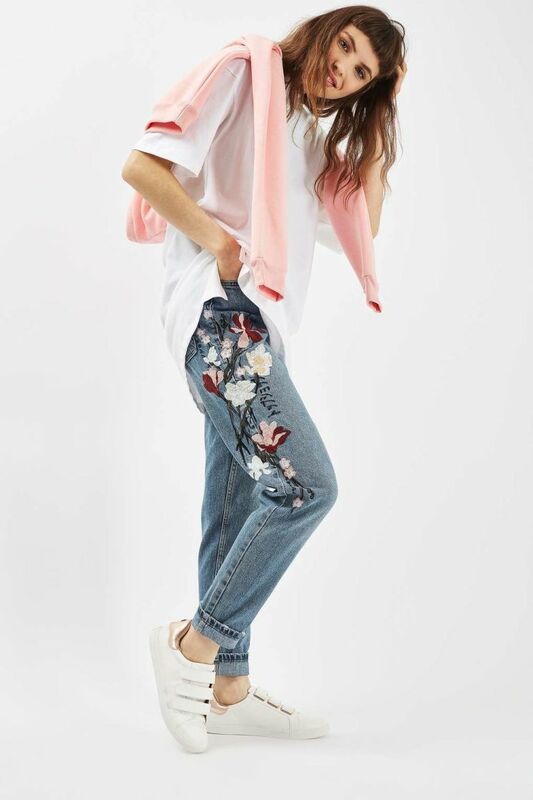 Topshop knows this, thanks to their now sold-out floral jeans. But did you know that Topshop snuck a slogan onto these beloved pants? According to The Sun, these pants have the word “Topshop” written in katakana, a Japanese script for foreign words, multiple times on each leg. The best part about this is that it’s so subtle! You can barely tell what the embroidery is and if you don’t know Japanese, it just looks like a cool detail that Topshop included on their pants. But once you know, you see it. These mom jeans are the perfect spring staple, which explains why they’re sold-out. And now when we wear them, we can feel like James Bond with a secret message written right on our outfit. 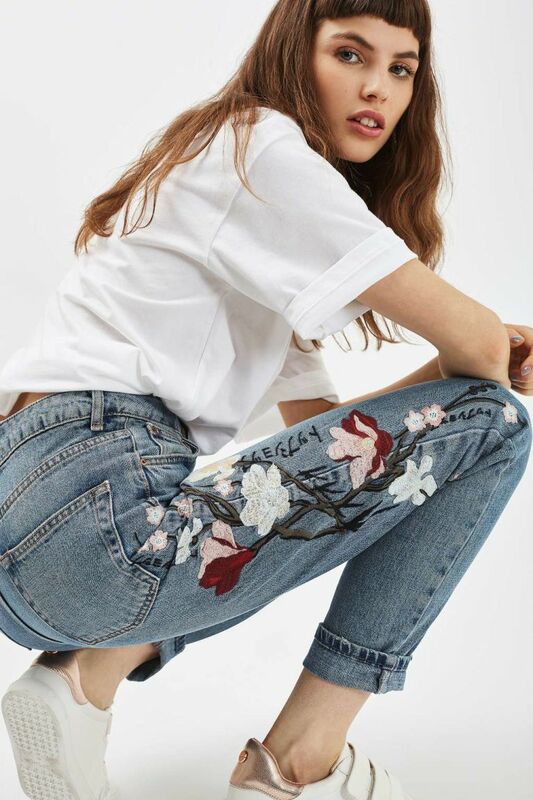 After all, slogan everything is also in right now, so we’re not surprised that “Topshop” made its way onto these jeans. We just appreciate how sneaky and subtle this look is.